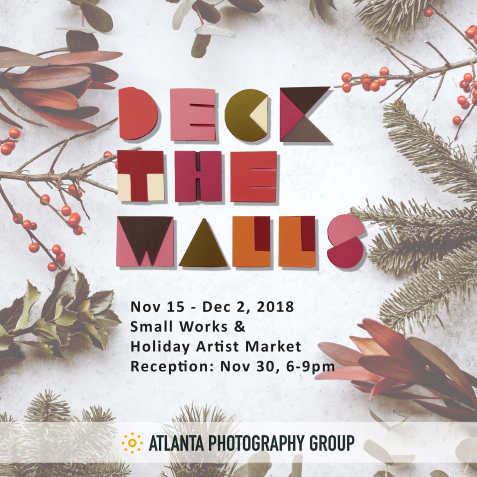 Tis the season - The Atlanta Photography Group is hosting the photographic exhibition Deck The Walls – Small Works and Holiday Artist Market, a gift market showcasing photography-based items, which could be any artist-crafted, photo-based item, including notecards, unframed prints, jewelry, mixed media, scarves, books, etc., just in time for the holidays. All items are for sale at gift giving prices and available to take home at the time of purchase. Join APG for the gallery exhibition and market and a bit of holiday cheer! Deck The Walls is free and open to the public. 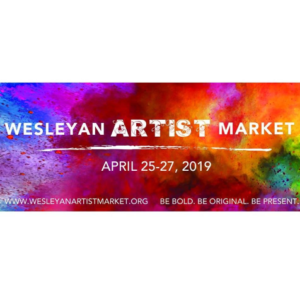 Additional galleries and studios at the Tula Art Center will be open during select hours. Mark it on your calendar and join us for some holiday cheer. Support your local artists for your holiday gift giving.